Do you have pain or limited mobility as a result of an injury? We want to help. At Midtown Integrative Physical Therapy, our experienced physical therapists take a hands-on, one-on-one approach to achieving the best possible results for patients. They will devise a care plan suited to your needs, goals and lifestyle. After you complete some necessary paperwork, you will have a consultation with your physical therapist that includes a review of your health history and the complaint for which you’re seeking help. The therapist also will perform an assessment to determine the limitations that you are experiencing. A recommended care plan will be discussed with you. As an out-of-network facility, Midtown Integrative Physical Therapy participates with most insurance companies that feature out-of-network benefits. To determine your coverage, please call (212) 752-6770. You don’t have to accept your pain. 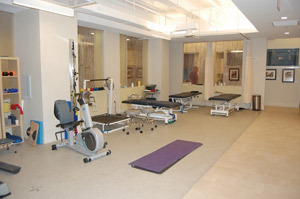 Effective help is available with our physical therapy service. If you would like to explore how PT could help you experience relief and healing, please contact Dr. Robert Shire today or visit www.mi-pt.net. We’d love to meet you and answer your questions.